From what I've gathered, there is a rule of thumb floating around that you should always offer less than the asking price when buying a house. Some people have even assigned arbitrary percentages to this rule. For example, they might say you should offer 5% below the asking price for starters. These "rules" are not only misguided, they are downright risky for the buyer. The reason is that they don't take unique pricing scenarios into account. 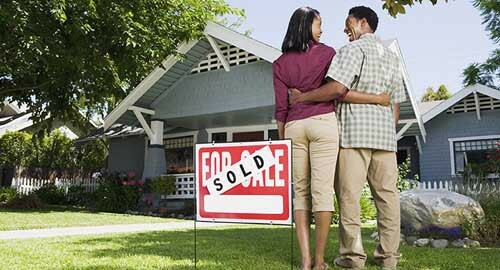 You cannot apply some arbitrary rule to every home-buying situation. Consider the difference between these scenarios: Some sellers price their homes realistically, based on comparable sales. Some sellers tend to overprice their homes, based on what they need to pay off their mortgages. And some sellers will actually price their homes below market value, in order to sell as quickly as possible. Given these three different scenarios, how can you say that it always makes sense to offer below the asking price? In addition to the differences in pricing strategies, you also have vast differences from one real estate market to the next. In a sellers' market, you would be foolish to offer less than the asking price (if that price reflects the current market value of the home). While in a buyers' market, you have less to lose by offering below asking price. Even if the seller rejects your initial offer, they will likely come back with a counteroffer. You're in a buyers market. There are plenty of homes for sale, but not enough buyers to absorb them all. As a result, many homes have been sitting on the market for months. Sellers are frustrated and desperate to sell. You find a house that is listed for $275,000. You pull up a handful of comparable sales from the last month or so, and you find that the average sale price was $255,000. In this scenario, it would make sense to offer less than the asking price. If the comps were very similar to the target house, I would probably offer somewhere around $250,000. If the seller shot that down without so much as a counteroffer, they would be foolish. It's a buyers market after all, so the next offer might not come around for some time. You're in a sellers market. There are plenty of home buyers but not enough houses to go around. Most homes are going under contract within a week of being listed. Sellers are getting multiple offers from buyers trying to outbid each other. You find a house that's listed for $275,000. You do some research and find that the average sale price from a handful of comps is $273,000. These two scenarios illustrate the flaws in the arbitrary "rules" that say you should offer below asking price for a house. In scenario #1 above, you could probably get away with it. In scenario #2, your offer would probably be shot down without so much as counteroffer. Arbitrary rules are worthless. Every home-buying situation is different. Every pricing scenario is different. You need to consider how the home is priced, based on current market values in the area. You need to consider the real estate market you are in, and how much bargaining power you have. This is how you make a smart offer on a house. Either way these 2 scenarios illustrate the flaws in the rules that say you should offer above or below asking price. At the end of the day trust your Realtor as they are well versed on current market trends, comparable sales, and your best interest.